Finding the right place to talk isn’t always easy. Even when your company has a decked-out meeting room, it’s not always enough to get the most out of your regular meetings. For people to start talking, they have to feel comfortable and at ease, and sometimes, holding meetings at the same place every time just doesn’t work out. Below are unique places for staff meetings that should help you and your team get business done better. Though this is not an excuse to get drunk and go wild, a cocktail hour at the local sports bar in Singapore is a great way to help your staff feel a bit more at home and more open to talking, as well as listening. Besides, if you’re worried, alcohol isn’t always necessary. What’s important is that the entire staff is at ease, and bars, in general, are as laid back as they come. The company meeting room might not be working anymore, but what about your office? By gathering a couple of people that you know work well together, you can bounce ideas off of each other and come up with creative solutions that otherwise would not have come up inside a meeting room filled with people from opposing ideologies and perspectives. Also, sometimes, some topics are best discussed behind closed doors. You know what they say, the early bird gets the early worm. Sometimes, there are subjects that people are just too tired or too stressed out to talk about later on in the day. So, the best solution is to talk about them early on, way before the typical office day starts. Scheduling meetings early on in the day, right around breakfast time, is also a great way to minimize distractions and get into the meat of things faster. Not to mention, eating together is always a great bonding activity. Why exactly would you rent a meeting room when your company already has one? Well, for starters, it never hurts to step outside the office every once in a while for a breath of fresh air. More and more companies have realized the importance of changing things up occasionally, especially during meetings. This is why there’s such a huge market for unique meeting rooms these days, some of which come with their own experiences to offer for interested companies. If you scout around in your city, you’re sure to find a couple of new meeting places that you and your team can try the next time. If nothing else, you won’t have to clean the spaces up much after each use since you’re just renting them anyway. The next step towards taking your business to a new level might just be breaking out of the routine and holding staff meetings outside of the company meeting room. Whether you want to talk to your staff about something, or you have a meeting with your investors or your clients, the meeting place can make all the difference. So, make sure that you choose wisely – and that you switch things up every now and then. 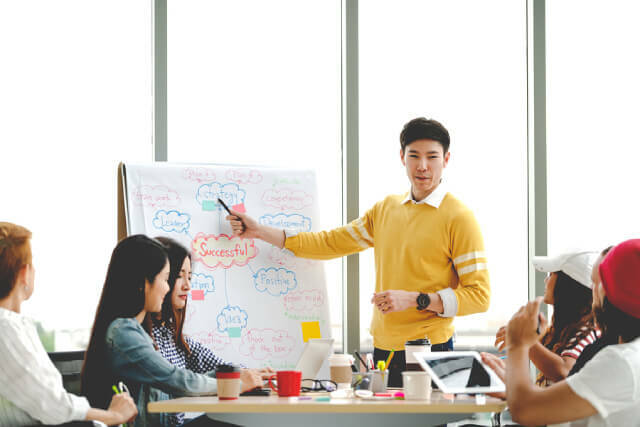 Enhancing the meeting room location or improving the way the meeting goes out are some great ways to make the meeting process more engaging and lively. However, you should continue to host corporate team building games in Singapore as your employees will probably need a break every now and then to cool off. After all, work productivity can only increase if your staff gets enough rest.